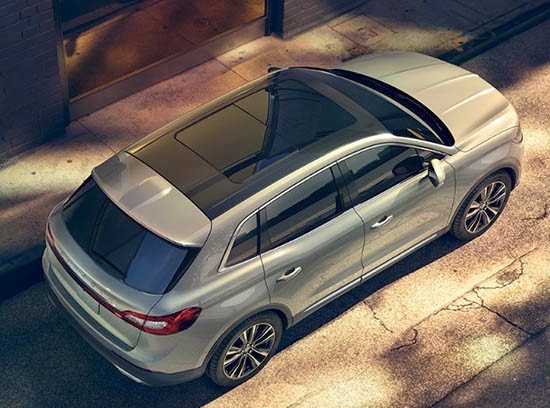 The MKX doesn't look like a Ford Edge anymore. 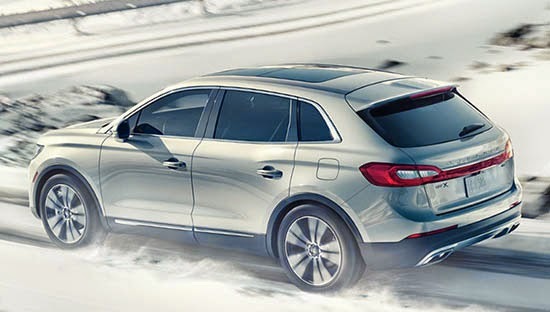 Just like the MKC doesn't look like the Escape it is based on. I think Lincoln has really found a very nice "look". Finally. While Cadillac seems to be focused on competing with BMW and Mercedes (but actually ends up being more like an American Infiniti in the process), Lincoln seems to be going more after Audi. As well as Lexus and Acura. Which is a great idea. I think this is so much better looking than the Lexus RX, and especially the Acura MDX. Looks good. I feel that Lincoln is also competing with Buick. It is a small thing, but now even near luxury cars don't have cup holders that have sliding cover (door). Overall nice enough, but I can't warm up at all to that Lincoln front end. It is not disgustingly hideous as the original Acura beak was, but rather just repulsive in a mild way that just ruins the total package. BTW, Vince, that "prove you're not a robot" thing on your posting screen is similarly repulsive in that it detracts from the desire to post here. I always have to go thru about 20 little images before something halfway legible appears. Major PITA. .Sorry about the "you're not a robot" thing. It must be an automatic Blogger thing. .And yes, I forgot about Buick. The door handles look too low and too ten years ago, but it doesn't look bad overall. The interior looks okay, but that's all. I think it will sell about as well as any Lincoln has the last decade. But Lincoln is going to eventually go the route of Pontiac, Mercury, Oldsmobile,Plymouth, etc. if they don't start offering more than warmed-over Fords. No, it looks like an Oldsmobile instead. 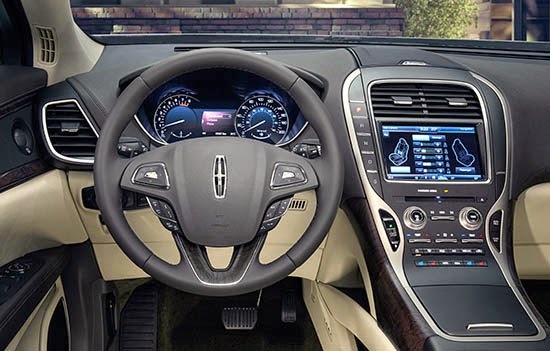 I happen to dig this, and applaud Lincoln for stepping up to finally compete with Acura and the domestic enemies alike, The front end of the new Lincolns have a digitally remastered Oldsmobile look, but otherwise everything else works well, especially the interior with the porous wood trim. This is a nice looking truck, just like the MKC. Can't help but think they are both a little conservative on the style, at least compared to the MKZ, which, now that I see them out on the road, looks pretty sharp. 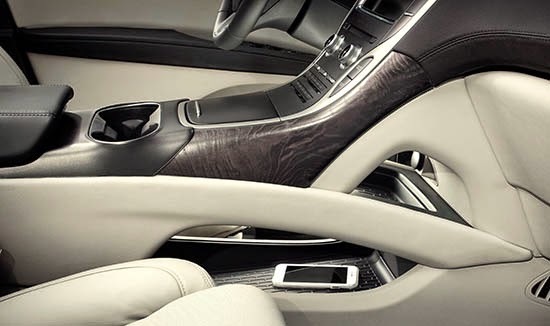 I like the clean interior, way too many cars these days have dashboards that look like a jumble of overlapping panels. One thing I do not understand is the trend towards awkward storage under the center console. This MKX has 2 bins, which are going to be hard to reach and hard to see what is in them. But they aren't alone, Volvo started it, Hyundai copied it on the Azera, and others too. Just give us deep bins accessible from the top!! This is nice. But it doesn't make me want to invest my money into Lincoln. They need something that will seduce people. And that's difficult to do with a generic utility vehicle like this. The last car that seduced anyone was the MK7. Before that it was the Continental fifty years ago. 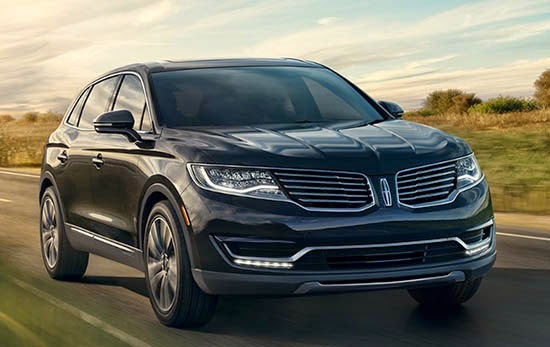 Lincoln has always had some of the best concepts but has failed to produce any of them. They've been kicking a can around for decades. It's surprising that they can't do better. REEEEAAALLY getting sick of the ovalesc red tail lights with the white centers like we see on every car from fusion to viper to masaratti to Hyundai etc. etc. etc. What happened to creativity? Shouldnt a luxury car be DISTINCTIVE? Shouldnt it at least TRY to be SOMEWHAT UNIQUE? Otherwise why would anyone buy more than a Kia or Toyota with all the options??? Thank God for DODGE! It looks nice and I think it will sell well for Lincoln. I agree that it will be the nicest looking midsize FWD-based premium CUV on the market. The only thing I found odd about the exterior design is that the light bar that connects the taillights looks like a bit of an afterthought, like it was changed/added after the initial design was approved. 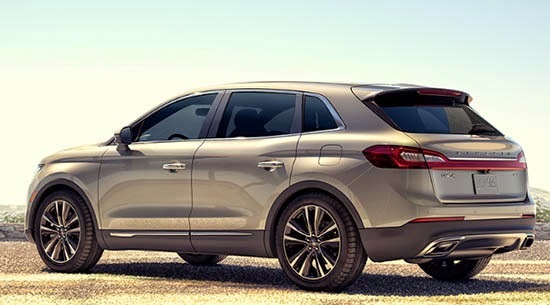 It is much better looking and integrated on the MKC and MKZ.